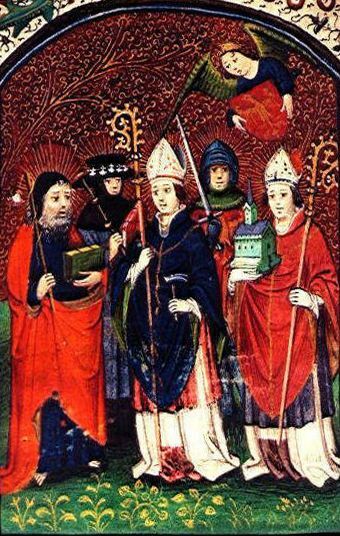 Debunking the Protestant “T” Word part III: What was the beef at Nicea? Now, before Nicea, there had been many councils. But they had been regional affairs, to deal with this or that issue—sometimes a heresy, sometimes a question of church order, and so forth. But the church had not yet seen something as widespread and threatening as the Arian heresy of the late 200s and early 300s. So let’s look now at how that started, and how it was resolved at the Council of Nicea. 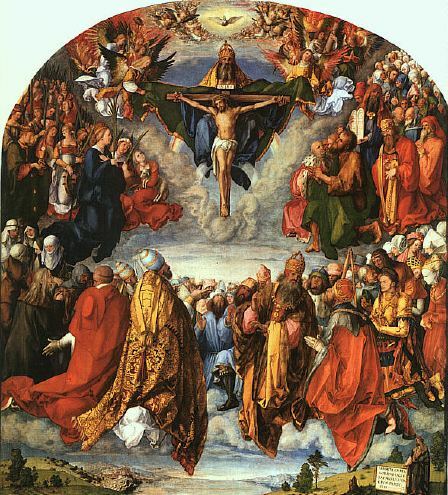 To understand the significance of the Council of Nicaea, we need to enter into the minds of those involved and ask why so much bitterness and confusion had been caused by one apparently simple question: “In what way is Jesus divine?” Arianism started when a teacher in Alexandria, Egypt named, not surprisingly, Arius, had grabbed hold of a partial truth about this from Scripture, and he had extended it so far that it contradicted other parts of Scripture. What was that partial truth? It was the image that we get, for example, in the Gospel of Mark—a picture of Jesus Christ as a preacher very much in the style of John the Baptist: an earthly teacher, a prophet, a healer. Jesus taught with great authority, certainly. But he also said that he had come to do God’s will—not his own. He portrayed himself as God’s servant. He said there were things he didn’t know: things like the day and hour of the end of the world. When someone addressed him as “Good teacher,” he answered: “Why do you call me good? No one is good but God alone” (that’s Mark 10:18). Before we dismiss this idea, I need to add that this is very close to what many, even most early Christians believed. When they thought about these things, the early Christians tended to portray God the father as “more divine,” and Christ the Son as “less divine.” It was not a metaphysical thing for them. They didn’t think carefully about all the ramifications. They just had this fairly simple picture of a subordinate relationship: Christ obeyed and served the Father, and so was the “lesser partner.” It was all fairly obvious to folks who lived in a highly hierarchical society. Of course the Arians pushed this idea of subordination further. They taught that Jesus was not only a lesser divinity than the Father, he was in fact a creature. There was (as the song said), a time when he had not existed. And what the Arians missed, when they said this, was the amazing paradox expressed in Philippians 2: That Jesus was in fact God himself, and that he had given up such divine traits as omniscience and omnipotence in order to come to earth and save us. The Arians were logicians. They worked in the realm of logical argument. And they couldn’t handle the logical paradox of a Jesus who was both human and divine. Gregory said, “He [that is, Jesus] was baptized as man—but he remitted sins as God. … He was tempted as man, but he conquered as God. … He hungered—but he fed thousands. … He was wearied, but he is the rest of them that are weary and heavy-laden. … He asks where Lazarus was laid, for he was man; but he raises Lazarus, for he was God. … He is bruised and wounded, but he heals every disease and every infirmity. He is lifted up and nailed to the tree, but by the tree of life he restores us” (Third Theological Oration: On the Son). Since God the Father had decided to use the Son to create everything, it followed that the Son pre-existed creation. Since time was a consequence of creation, the Son must also pre-existed all time—and was therefore eternal like the Father. And since he was eternal, there could never have been a time when the Son did not exist, contrary to what the Arians believed. 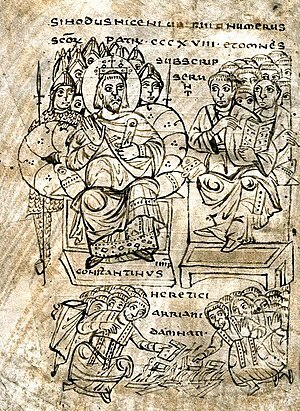 More than this, Arius’s own bishop, Alexander, and other orthodox bishops at Nicea also realized that if Arius’s doctrine won out, then Christians would be left on Sunday mornings worshiping, not God, but a creature—a created being. And besides being blasphemous, this would also have meant that our salvation was shaky, at best! If the Jesus who saved you didn’t have his own source of life “inside himself,” so to speak—if he had to rely on someone else, that is, God the father, for his very life, because he had been created himself—then how could he reconnect us securely to eternal life? This entry was posted in Medieval Wisdom for Modern Protestants and tagged Arianism, Arius, Christology, Council of Nicea, Early Christianity, Jesus Christ, Trinity. Bookmark the permalink.